Creating Adventures is a North-West based charity that offers incredible, exciting experiences for adults with complex needs. In their first year of operations they’ve enabled their service users to enjoy a better quality of life through events such as coffee mornings, art projects and day trips. Their future plans involve creating a community where the people they help can engage with each other in a safe, stimulating environment. 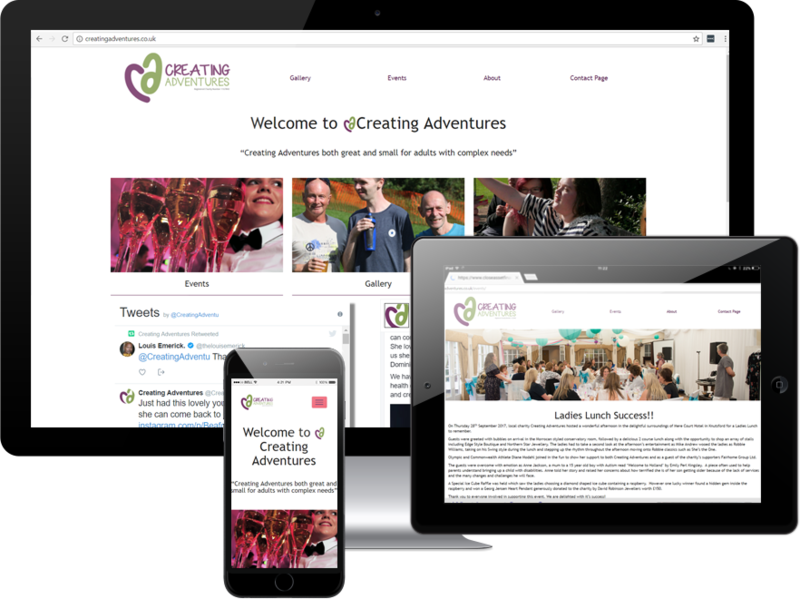 Our business development manager Dave Thorpe met the Creating Adventures team through a business contact and noticed that as a young charity they hadn’t found a way to promote their incredible cause through a website on the budget they had. 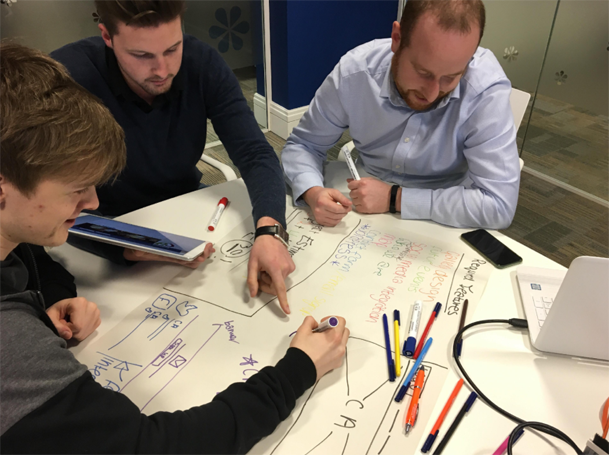 As a team, we decided we’d love to help out as our way of giving what we can to the charity – and the Creating Adventures team accepted our offer! Obviously, the website needed to promote the work that Creating Adventures do, and keep users up to date with their latest events. This meant that Facebook and Twitter integration was absolutely integral, as well as events showcasing page. Finally, there needed to be plenty of images incorporated into the website to convey the exciting work that Creating Adventures are involved in every day. We wanted to make sure that everything the Creating Adventures team needed from a website was included in our specifications. 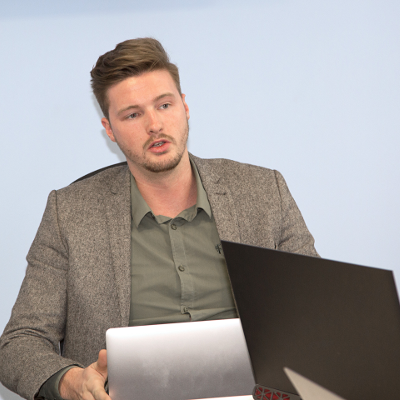 To ensure this, we had a project kick-off meeting with our team and the clients and discussed the requirements. From this, we wrote up a spec and checked with the developer working on this project, Ben, which technology would work best. From this, we decided that WordPress would work as it would be simple for the Creating Adventures team to update themselves, and it could perform all the tasks that the website was required for. 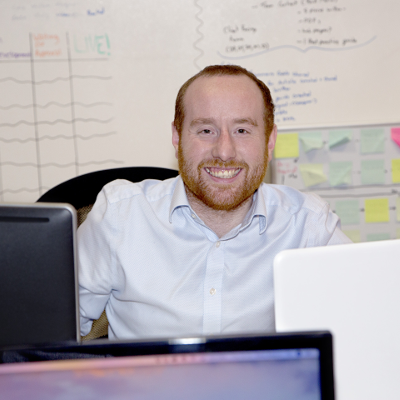 Once we decided how the website needed to perform, Project Manager Dave worked on a basic wireframe which incorporated all aspects of the specifications. Ben then worked to this when he developed the website in the WordPress CMS. 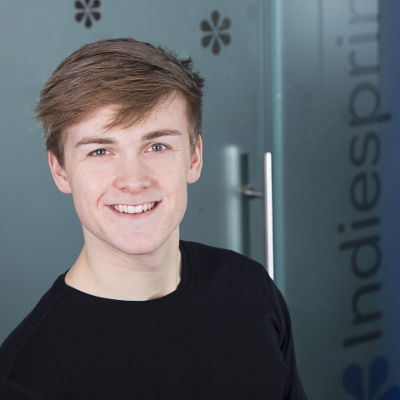 Ben was booked out to work on the site as soon as possible – we thought Creating Adventures had waited long enough to have their very own website! This was one of Ben’s first solo projects with Indiespring, and we’re so happy with the results. The new Creating Adventures site needed to be image heavy, as the charity deals in events that are very close to its users’ hearts. The images show how important the charity’s work is. Integrating their social media accounts was also important, as Creating adventures updates their Facebook and Twitter accounts often with information that’s important to their users. Having content on a website that isn’t just static helps to keep it looking fresh and exciting, with minimal updating to the actual site. 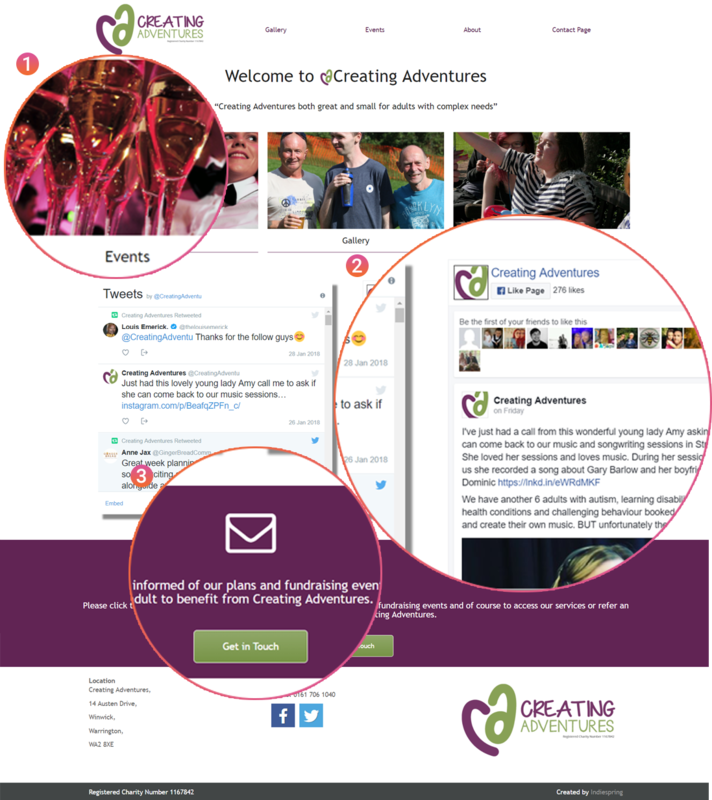 Creating Adventures offer a newsletter which is sent out regularly to those who sign up, and told us that this needed to feature on the homepage to encourage more signups. For this, we used the MailChimp WordPress plug-in to integrate thoroughly and create a slick, simple User Experience. 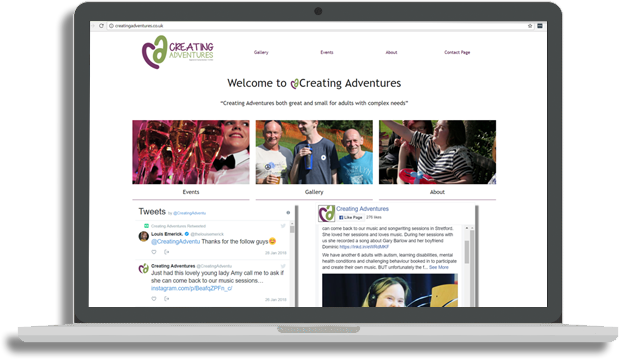 The brand new Creating Adventures site is clean and easy to use for both customers and the members of the team. It showcases the hard work that the charity does to improve the lives of the adults they work with through plenty of images, social links and widgets, sound cloud audio clips and articles. We continue to host the website on our servers to ensure the security of the site and update it regularly, and we hope to help with new content in the future. “I would like to thank Indiespring Digital Agency for creating this website for us free of charge. 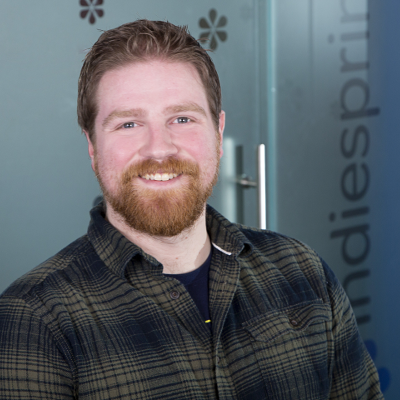 The team at Indiespring have been amazing support and a lovely bunch to work with too as they’ve helped Creating Adventures get up and running reaching more and more people to enable us to impact the lives of our adult learning disabled community. “ Jenny Allcock, Creating Adventures.